When it comes to dental solutions for missing and damaged teeth, you will be hard-pushed to find one that offers the same combination of functionality and beauty as dental implants. This innovative and modern treatment is fast becoming the premier choice of patients who have a multitude of different dental problems, including: teeth that are badly decayed, eroded, cracked, and/or broken, or have fallen out as a result of some of these issues. So, why are dental implants so popular? The answer to this lies largely in the fact that they have been created with the intention of eliminating the negative factors identified in other dental solutions. For example, bridgework has long been used to replace individual missing teeth. However, bridges have been shown to place strain on the supporting teeth (abutment teeth) on either side of the gap, causing further damage and dental problems. However, with dental implants, each is placed individually and secured into the jaw, meaning there is no effect on the surrounding teeth. 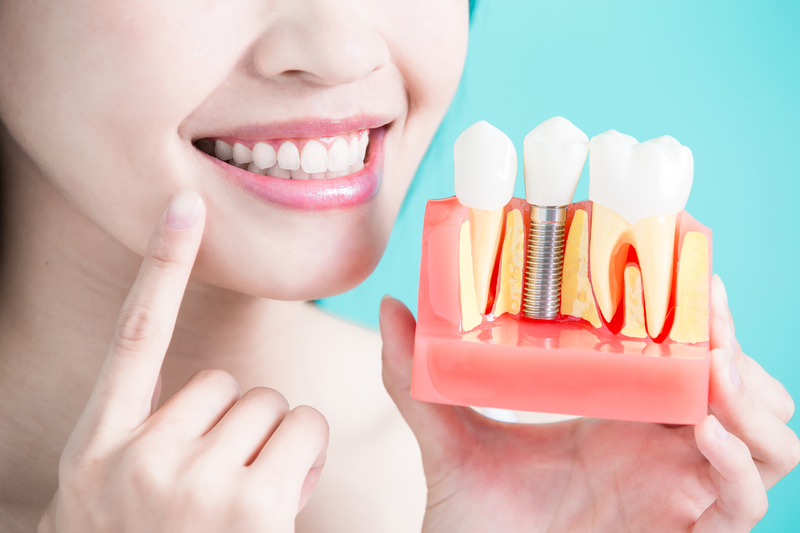 Other benefits associated with the popularity of dental implants include their permanence, their durability, their discreetness and the fact that they are extremely low maintenance. In fact, implants have been shown to be so robust and long-lasting that with the right care, they could last a conscientious patient an entire decade! With the highest success rate of any surgically implanted device at around 98%, dental implants can work for a great deal of patients. However, this doesn’t mean that they are the right or the best solution for every dental problem. In some instances, patients may require additional surgeries or therapies if dental implants are to be a success. It is for these reasons that any reputable and experienced dental implant surgeon will insist that you attend a consultation appointment so that your candidacy can be accurately assessed. How is my candidacy assessed? Every candidate is assessed independently and at your appointment, your dental implant surgeon will consider a number of different elements to determine whether you are suitable for dental implant surgery. This will include your dental and medical history, and your reasons and goals for the surgery. You will also be required to have X-ray or CT images of your mouth and jaw so that your dental surgeon can accurately assess the positioning of your natural teeth and the density of your jaw bone. The latter is extremely important for the success of your implants. This is because the titanium implant post is inserted into the jaw bone, where it fuses (a process known as osseointegration) to create a firm foundation for the porcelain crown that makes up the visible part of the tooth. If the natural jaw bone does not have sufficient density, then osseointegration will fail and the implant will not be secure in your mouth. If you are found to have insufficient jaw bone density, it may be possible for you to undergo bone grafting. This improves the thickness and quality of the jaw bone, improving the likelihood that dental implant osseointegration will be successful. Patients with chronic health conditions, including auto-immune disorders, uncontrolled diabetes and haemophilia. If you have heard about the unique benefits of dental implants and are considering this revolutionary treatment for a solution to your dental problems, arrange a consultation with a Dr. Jayson Haws to discuss your candidacy, call 435-919-5100.